Summer Rayne Oakes may have first gained recognition in the modeling world, but she’s more than a pretty face. When she’s not strutting down the catwalk, the multitasking multihyphenate is an author, a shoe designer, and a social entrepreneur. 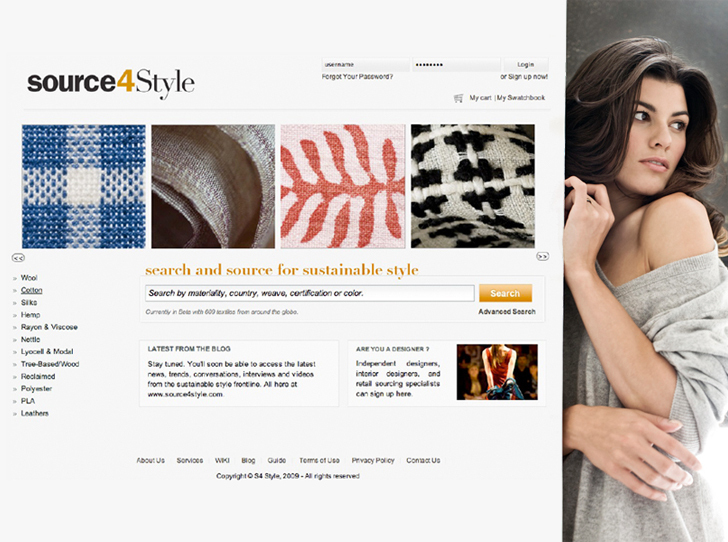 The thread that ties these disparate enterprises together becomes apparent with Oakes’ latest endeavor: Source4Style, a trade-only online marketplace that allows designers to find, compare, and buy sustainable textiles from a network of global suppliers at the touch of a button. Earlier this month, we snuck a peek at the upcoming site during a cupcake-filled preview in Brooklyn. Better yet, we managed to sidle up to Oakes herself to glean her thoughts about S4, sustainable fashion, and why community matters. Up to 85 percent of a designer’s time is spent sourcing fabric, rather than designing. S4 is just for designers, but rather a collaborative work-in-progress with them. But S4, Oakes stresses, isn’t just for designers. Rather, she views it as a collaborative work-in-progress with them. “It’s hard to know what every designer needs until you really sit down and talk with them and say, ‘draw how it’ll work,’ or ‘what would that page look like? '” she notes. In fact, discovering what made designers tick was the entire point of the inaugural Feast & Focus Group. The site, after all, was built for them, so gathering their feedback was foremost on the agenda. Summer Rayne Oakes may have first gained recognition in the modeling world, but she's more than a pretty face. When she's not strutting down the catwalk, the multitasking multihyphenate is an author, a shoe designer, and a social entrepreneur. 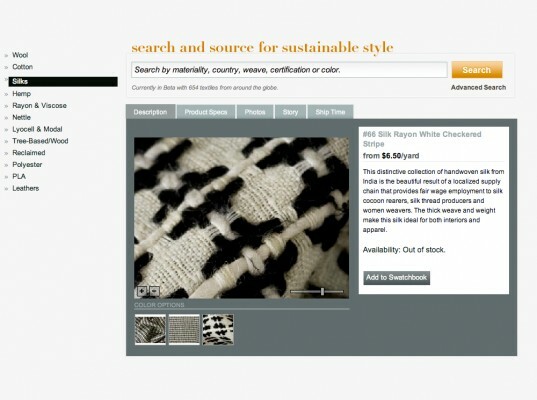 The thread that ties these disparate enterprises together becomes apparent with Oakes' latest endeavor: Source4Style, a trade-only online marketplace that allows designers to find, compare, and buy sustainable textiles from a network of global suppliers at the touch of a button. Earlier this month, we snuck a peek at the upcoming site during a cupcake-filled preview in Brooklyn. Better yet, we managed to sidle up to Oakes herself to glean her thoughts about S4, sustainable fashion, and why community matters.